A superfood is a food that qualifies as "super" because it is nutrient dense and calorie scarce. While the term is relatively new in foodie and fitness vernacular, and is frequently tossed around in the world of marketing like wet lettuce in a spinner, its existence is anything but new. In fact, a superfood is only novel in that it is naturally occurring—that is, it comes from the ground or is plucked off a living plant or tree and not turned out of a lab or pulled off an assembly line. But what really makes a simple food super is that its complex composition of nutrients complement each other like sidekicks in synergy. The same seed that gave us the clay Chia Pets in the 1970s is now hailed as a modern superfood. Interestingly enough, South American natives have thought of chia this way for centuries. In fact, the word “chia” translates to “strength” in ancient Mayan, and the seed was coveted during times of famine and carried by soldiers when traveling great distances. 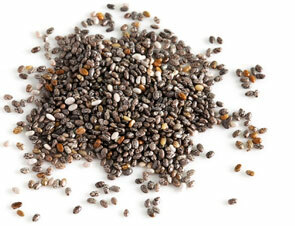 Chia seed was so highly valued that it was even used as currency at one time. Today, the tiny seed is prized as a powerhouse of nutrition that includes protein, fiber, iron, calcium, magnesium, zinc, and omega-3 fatty acids. 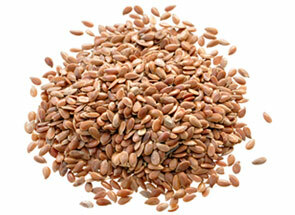 Flax, also known as linseed, is one of the earliest cultivated seed crops, with evidence dating to 3000 BC to indicate it was widely grown by the ancient Egyptians. King Charlemagne, the first Emperor of the Holy Roman Empire, was so fond of flax as a superfood that he mandated that his subjects regularly consume it to ensure good public health. Spirulina is a freshwater plant commonly referred to as blue-green algae, although it isn’t an algae but the product of two species of cyanobacteria named Arthrospira platensis and Arthrospira maxima. The uniqueness of this plant is appreciated when you consider that it is classified as a bacteria because its nucleus lacks a protective membrane, yet it manufactures energy through photosynthesis like plants do and that other bacteria cannot. What makes this simple form of life such a superfood is the presence of all nine essential amino acids and that it consists of up to 70% digestible protein. Also known as wolfberry or lycii, goji is the fruit of an Asian species of shrub in the nightshade family, which makes the plant related to tomato, potato and eggplant. The dried berries closely resemble raisins, but are red in color and have a slightly tart, sour flavor. 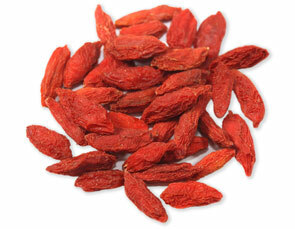 Goji is commonly used in Asian cuisine as a flavoring and nutrient additive to soups, stews, tonics and rice congee. Elsewhere, the colorful berries are added to smoothies, cereals, baked goods, teas and “functional” wines and cordials. According to Chinese legend, an herbalist named Li Qing Yuen reputedly lived to be 256 years old thanks for having a penchant for goji. While the validity of this story may be questionable, the known qualifications of goji berry as a superfood are almost too numerous to mention, but in brief include several phytosterols and carotenoids, 11 essential fatty acids and 22 trace minerals. Bee pollen is the product of the worker honeybee, who must toil for about 240 hours to collect roughly 2.5 billion grains of microscopic floral male seed particles to come up with just one teaspoon of this golden ambrosia. Also known as bee bread, this material stumps modern science when it comes to its exact composition. Although we know that bee pollen consists of 40% protein, B-complex vitamins and folic acid, it contains a “secret” component known only to bees. In fact, experiments show that lab-synthesized bee pollen fed to honeybees causes their demise, even though all of the known ingredients are in there. Aside from marveling at this amazing feat on the part of honeybees, we can also appreciate the fact that bee pollen provides nearly complete nutrition for people. 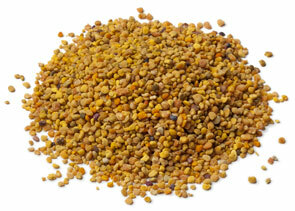 Note: For best quality, store bee pollen granules in the refrigerator or freezer. Coconut oil is obtained by cold-pressing dried coconut kernels, which are collectively called copra. 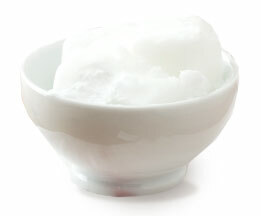 Because coconut oil has a high melting point that exceeds 75 degrees Fahrenheit, it is solid at room temperature. The unique thing about this super food is that about 90% of its composition consists of saturated fats. Wait…what? It’s okay. The fatty acids in coconut, namely lauric acid, capric acid and caprylic acid, not only possess antioxidant, anti-fungal and antibacterial properties, but they’re also medium chain triglycerides (MCT), which are readily assimilated and metabolized in the body. In fact, the nutritional benefits of MCTs from coconut oil are often delivered intravenously to the critically ill and premature infants in hospital intensive care units. Use to make refrigerator jam; to thicken sauces, soups, hot cereals and puddings; as a substitute for breadcrumbs in meatballs and meatloaf; as a substitute for eggs in baking; combine with Panko and use as bread coating; toss into salads; sprout for salads and sandwiches; grind and use as a gluten-free flour; incorporate into pancake batter and bread dough. Mix into hot cereals or mix with boiling water to make a porridge; add to softened herbed butter or cheese spreads; stir into pancake and muffin batter; blend into fruit and vegetable shakes and smoothies; use as a topping for ice cream and puddings; mix into nut butters; add to pizza dough, homemade crackers and other baked goods. 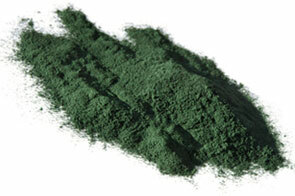 Disclaimer: spirulina has a slight fishy flavor and is an acquired taste. Having said that, the good thing to note is that very little powder is needed to pump your food with nutrients. Try adding a teaspoon to a full glass of apple or carrot juice; combine with cayenne and sea salt and use as a seasoning for popcorn, baked chips, roasted vegetables, etc. Add to hot cereals, yogurt and puddings; use in herbal tea blends; blend into smoothies and shakes; add to muffins, quick breads, cookies and biscuits; sprinkle into salads and fruit cups; combine with granola, nuts and seeds for trail mix snacking. Blend into fruit smoothies; add to hot cereals; make a shake with honey, almond milk, ice cream and a sprinkle of bee pollen granules; sprinkle on top of peanut or other nut butter; mix equal amounts of honey and granules for use as a spread for toast and biscuits. Gently melt and use as a base for salves, lip balms, solid perfumes, skin creams, massage lotions and other personal care products. The oil can also be used in cooking and baking in place of corn, safflower or other vegetable oil.